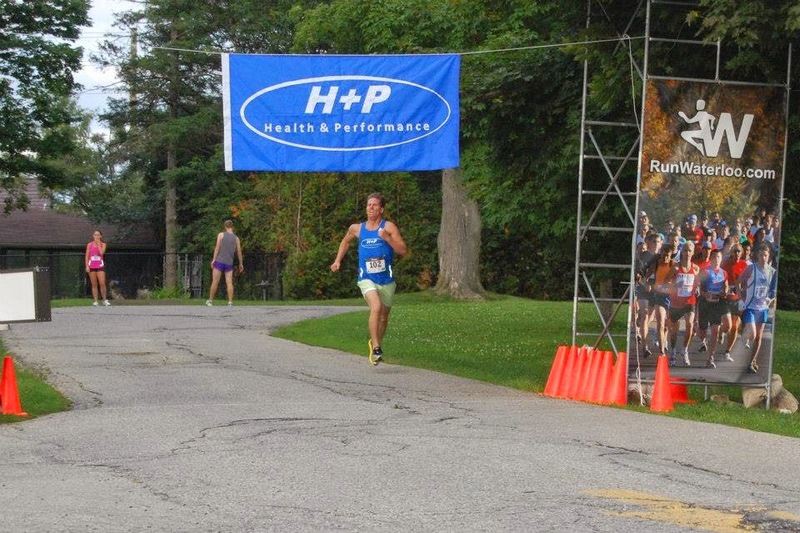 Well, it was an exciting week for our team at the 2014 ENDURrun as you can see HERE. 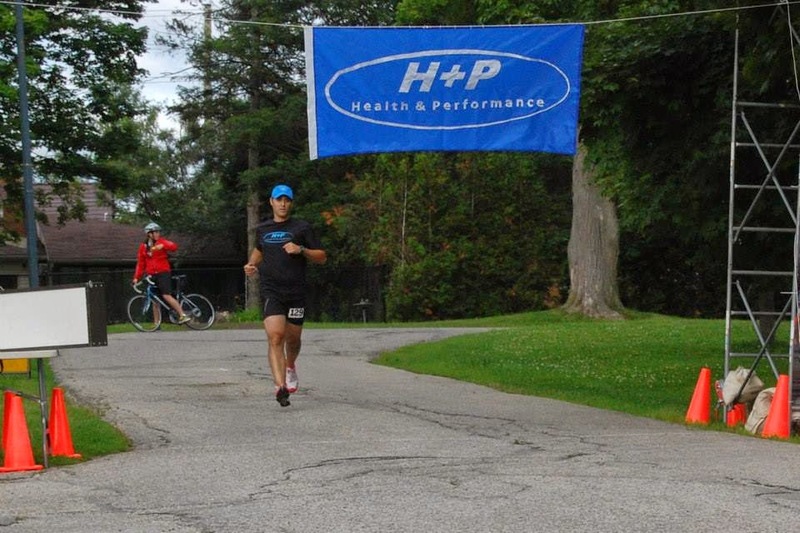 WELCOME to the Health and Performance 2014 ENDURrun blog. Throughout the week, we will be updating this post with the most up-to-date results along with a preview of upcoming stages. Men's A1 team: Sean Delanghe is hoping to get the team off to a strong start. Last year the team started with a 1:21, and he is hoping to better that mark. Women's team: Gillian Willard is ready to roll. Coming off a new 5K PB, she is ready to run hard and challange her half marathon PB. Men's A2 team: Adam is lacing up, and hoping to beat down his roommate in the mixed team (Dave Haiser)- both runners are looking to PB. Don't forget about our ULTIMATE athletes: Vicki, Holger and the Heij-dynamic-duo! Men's A1 team: Sean ran 1:16:58. This puts the team in first place by 13 minutes. 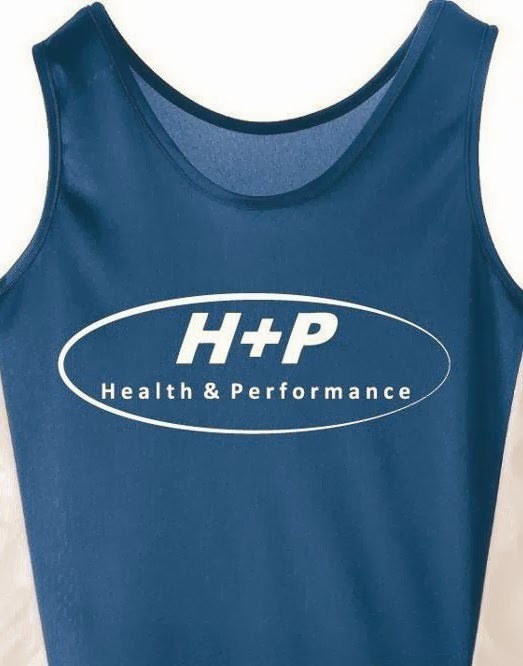 The two teams who have run SUB 11:10 in the past opened up with 1:29 and 1:31 half marathons (but their faster runners came later in the race)- so the H+P A1 team is on track for a new event record, but it will still be a challenge! Running Sub-11 hours is also definitely in the cards. For the Women's team, Gillian had a break through performance where she ran a huge PB of 1:30:30 on a very challenging course. This was good enough to put the girls team in an unexpected SECOND PLACE overall. The women's team record (14:20) is definitely within reach, and now the event podium is too! In the Mixed-Team, Dave Haiser had a breakthrough with a PB of 1:34. The team now sits in 4th place, only 4 minutes out of 2nd OA. In the A2 team, Adam struggled through stomach issues, but still managed to push himself in with a respectable 1:37. Not his best run, but it placed the team in striking distance of the podium 7 minutes back of 2nd OA. Vicki had a great start, running 1:42, a huge EDURrun best, placing her 5th OA for females. Holger did exactly what he wanted, running 1:30, placing 8th for men. Andrew had a solid start, despite some cramping issues, finishing with a solid 1:43. Heather battled hard, and ran one of her fastest half marathons ever finishing in 2:32. Steve and Dave both came out for a "training day." They also happened to finish 1-2 out of all the guests! Ahmed is up for the men's A1 team (1st) and is hoping to continue to build on the team's lead. To stay on-track to break 11 hours, he is looking to run around 56 minutes. Payton is up for the Women's team (2nd). She is looking to improve upon her 1:13 from last year, and keep the women's team on the podium. For the mixed team (4th), Justin is up. As a new H+Per, his fitness has been improving with a steep slope- he hopes to close the game on 3rd (just over 1 minute) and put the team on the podim. In the Men's A2 team (5th), Mike Piazza is up! He is aiming to crush his time from last year, and to eat into that 7 minute gap between them and the 2nd place team. Men's A1 (1st): Ahmed fought hard, and came in with a very respectable time of 61 minutes-this gives the team a 23 minute buffer over second place, but puts them 2 minutes behind their goal time. Men's A2 team (4th): Mike ran 1:07- not the time he was looking for, but still brought the team up a spot into 4th place. It also ate 4 minutes into the 2nd and 3rd place teams, leaving them less than 1 minute off the podium. Mixed team (5th): Justin had a very solid 1:18 15K, and the team now sits in 5th place. Andrew ran a very solid 1:14, while Heather ran strong to finish in 1:42! Brendan is up for the men's A1. With a 23 minute lead, the team is comfortably in 1st. However, they are 2 minutes behind their sub-11 hour pace. Brendan hopes to eat into that gap, and finish around 2-hours. Helen is up for the women's team and is aiming to put her trail experience to work and keep the women's team on the OA podium! For the men's A2 team, one of their ringers, Dave Rutherford is up. 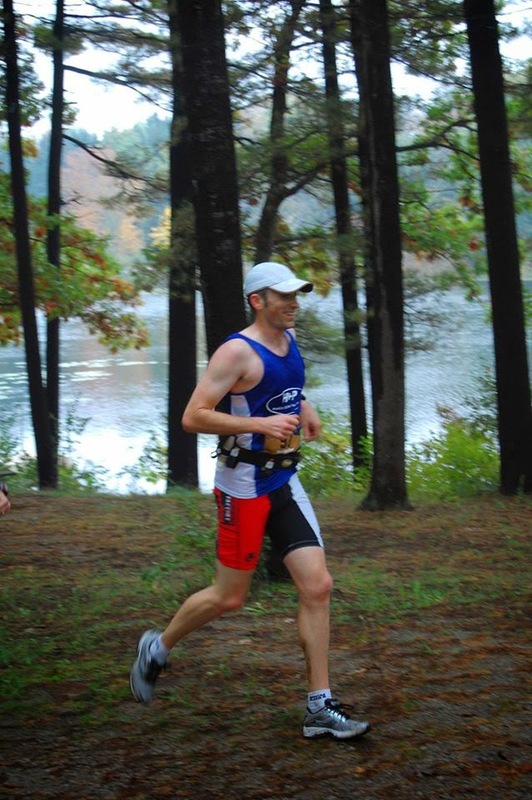 A trail and longer-race specialist, Dave is looking to eat up the course and finish in sub 2:15. He's not only hoping to PB, but to bring the team from 4th place all the way into 2nd place OA. For the mixed team, Charlotte is up. As the Canadian Record Holder for the 6-day ultra, this 30K will be a walk in the park, and will be a great training day for her! Brendan has a very tough day in the office for the A1 team (1st)! Coming in with a 1:15 half marathon PB, he definitely had the talent and fitness to throw down a quick time. Starting off with back-to-back sub-20 laps, he was well on pace for a 2 hour finish. However, in the final 2 laps, he was hit with severe calf cramping that left him unable to run- or even walk! His final lap took him around 37 minutes, including a 10-minute final K. He crawled to the finish with a still solid time of 2:24, keeping the A1 team in the lead (but now by only 15 minutes). For the men's A2 team (2nd), Dave Rutherford came in fit, fresh and completely delivered! He ran an extremely solid 2:13, beat his A1 counterpart, coming in as the fastest relay runner on the day. He also helped the team climb all the way from 4th to 2nd OA! Helen had a very solid race for the women's team (4th). She ran strong to finish with a time of 3:02 and the team now sits in 4th place. Charlotte came in just behind Helen with a time of 3:04, and the team sit in 5th place. Vicki had an excellent performance, running 2:44, and was the 4th place women on the day! She now sits comfortably in 5th- but is 4th place on the horizon? Holger ran a very solid 2:28, holding his 8th place position. Andrew hammered a 2:49, while Heather battled a sprained ankle to finish with a time of 4:32. Up for the men's A1 team is IronLuke. With Brendan's injury tough-luck run in the 30K, Luke is looking to get the team back on track with a solid run- is an event record still in the cards? Nothing can go wrong for the team in the final 4 stages. Not only that, but the A2 team is hot on their heals as they are only 15 minutes behind with 4 day of racing to go. Chris is up for the men's A2 team. With the team now sitting in a solid 2nd place position, are they capable of catching the A1 team for the upset? For the women's team, new H+Per, Nicole Green is up! Coming off of a few weeks of MCAT studying/writing, she is looking to run hard and use the race as a solid baseline fitness test. She also hopes to hold the teams 4th place position. Dragan is up for the mixed team! 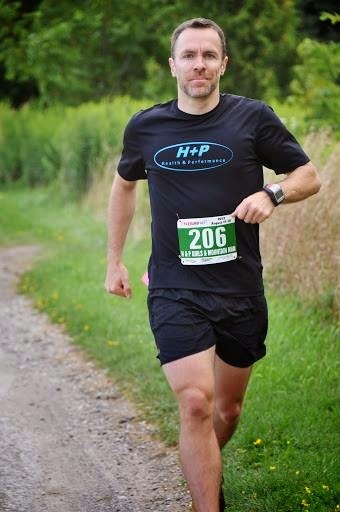 As the longest standing H+P vet, he is a guaranteed solid performance- can he help the mixed team move up a spot? For the A1 team (1st), Luke had a very strong performance. Being chased by Chris of the A2 team (2nd) for almost the entire stage, Luke could not gain a step as Chris drafted for 11-12K. Luke was able to put his massive endurance base to work and pull away from Chris over the final three rolling hills. Luke finished 3rd place OA on the day with a time of 63:44, with Chris coming in just behind him with a solid time of 64:28. These two strong performances firmly cemented the A1 team in 1st with a 17 minute lead over the A2 team who now sits safely in 2nd. The A2 team has a 32 minute lead over 3rd place at this point, but there is almost 80K of racing still to go. For the mixed team, Dragan Ball Z had an outstanding performance. He was the 3rd fastest relay runner in the day with a time of 1:27. This was very impressive as it draws the mixed team within 2 minutes of the H+P women's team for 4th place OA. Nicole also had a strong run. Coming off a few weeks of limited training, she managed to run a solid 1:35, and to hold the women's team in 4th place (but the mixed team is now nipping at their heels!). They women's team now sits about 45 minutes out of 3rd place- but there is a lot of racing still to go. Vicki had a very solid 10M PB, holding her 5th place OA position with another 5th place finish on the day. Holger completely solidified his 8th place OA position with an excellent 1:10 10-Miler. Andrew had some pop in his step, crushing the course in 1:16, and now sits in 12th place OA. Heather had a great 10-Miler, breaking 2-hours comfortably with a time of 1:58. 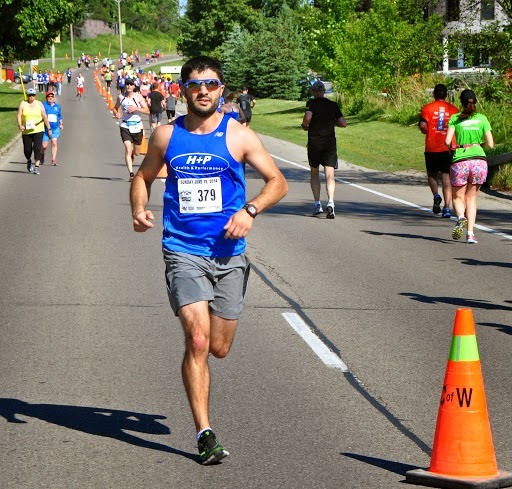 Dave ran the 10M course as a training day, finishing with a solid 1:10, while Will battled some severe calf cramping to still finish with a time of 1:56. For the Men's A1 team, Greg is up. He is seeking redemption from his epic blow-up in this very stage in 2013. Over his final two laps in 2013, without proper nutrition, Greg bonked hard and lost about 15 minutes over 10K of racing. He hopes to break 2:15 on the day and to build on the A1 team's 17 minute lead. 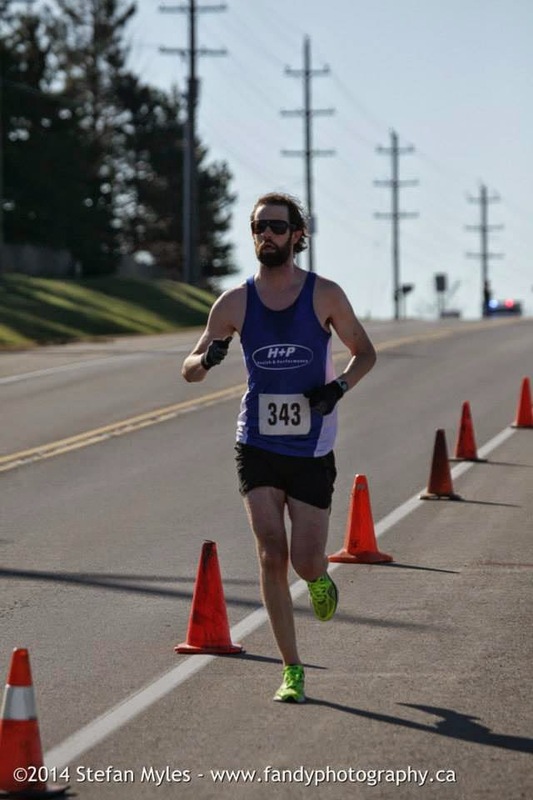 Pat, one of H+P's most improved runners, has been hammering long runs and hill repeats for 2 months now in preparation for this stage. Can he he cut into A1's 17 minute lead? This could be a great showdown between Pat and Greg! For the women's team, Emily is up. Relatively new to running, she has shown huge improvements over the last year, including coming from a 50+ minute 10K all the way to a sub-21 minute 5K. She is looking run hard, and maybe eat into the 45 minute lead 3rd place has over the women's team. For the mixed team, Mountain Man is back in action. He ran both Bechtel and Chicopee in 2013, whereas this year he will only be running Chicopee- what will he do with fresh legs? Will he be able to eat into the women's team 2 minute lead and bring the mixed team into 4th place? For the second stage in a row, the men's A1 and A2 teams had a massive showdown. 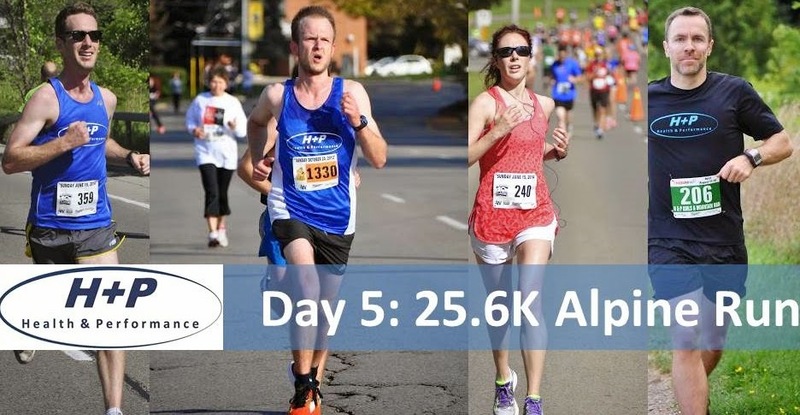 Greg and Pat ran shoulder-to-shoulder for almost 20K of this very challenging 25.6K alpine course. Putting his course experience to use, Greg was able to pull away with a strong final loop through the "mountains" and put a small gap of just under 2 minutes between him and Pat. This performance also doubles as sweet revenge for Greg who blew up on this very course in 2013. 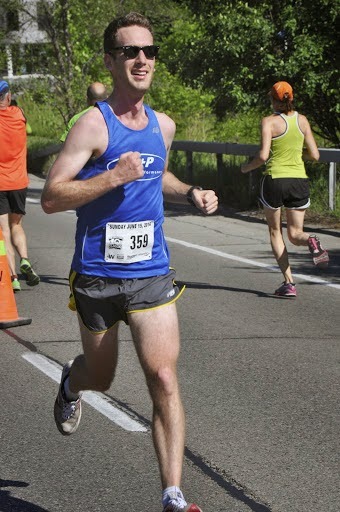 Pat's finish time of 2:14 was a huge surprise and evidence of his hard work on the hills over the last 8 weeks. Both Pat and Greg pulled off times that separated the A1 and A2 teams from the rest of the pack, but are still only separated by 18 minutes with 52.2K of racing to go! For the women's team, Emily had an amazing, break-through performance. As of October 2013, she could barely break 50 minutes in the 10K. Today she was able to race a strong and smart race, and actually reel in the very experienced and fit Mountain Man of the mixed team (who had quite a strong race as well) to keep the women's team in 4th. Emily and Craig finished in 1:32 and 1:34 respectively. With only 2 stages left, a mere 3 minutes is all that separates these two teams! Vicki had another solid stage running 2:43- she also moved up a spot to 4th as Joanne Bink had to unfortunately withdraw due to injury. Holger ran another strong stage of 2:31- good enough to hold his 8th place position OA. Heather ran strong to achieve an Ultimate-EB on the stage, while Andrew ran an excellent 2:37 to hold his 12th place OA. With only 10K of racing on Stage 6, there likely will not be any changes in the team standings with the current time gaps. Jordan is up for the A1 team. He's had a busy week of running the event, but earned a spot on the team and was forced to race by his coach! He's hoping to hammer a time of around 36mins, and build some momentum for RunnerRob who is up next in the marathon. Nick Burt is up for the men's A2 team. 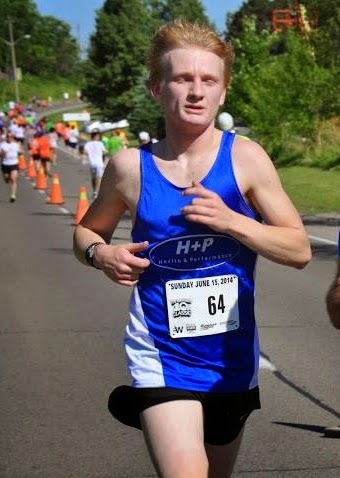 He has been one of H+P's most improved runners in the last year. He has never dipped below 39 in the 10K, but is looking primed to do so tomorrow if everything goes well! Kailey is up for the women's team. Coming off a stress fracture in the off season, she has been showing massive fitness gains in the last 3 months. She is hoping to crush a new PB and solidify the women in 4th place OA. Laura is up for the mixed team. 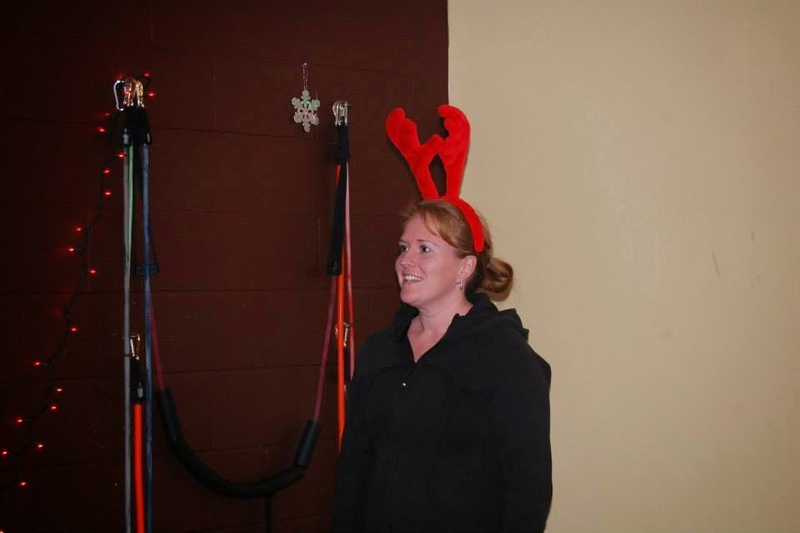 She is one of H+P's most dedicated runners...but more importantly...seems to be our #1 recruiter! She will also be chasing a PB on the day! What a great day for the team on this stage 6- 10K TT! There's not a lot of room for positions to change, but laying down a good time can build momentum for Stage 7 where over the course of 42.2K anything can happen. For the A1 team, Jordan did exactly what he wanted to do. He ran a new PB of 35:49, and posted the fastest time on the day. This gave the A1 team an additional few minutes over A2, giving RunnerRob a 21 minute lead to work with in tomorrow's marathon. For the A2 team, Nick Burt crushed the TT with a massive new PB, coming in with a time of 38:32. This widens the gap between A2 and the 3rd place team from RC (approximately 44 minutes). The A2 team appears to be primed to finish second OA...but anything can happen in the marathon. For the women's team, Kailey had an outstanding finish, running a new 42-minute PB. This separates the team from 5th place with a current gap of 15 minutes. With one stage to go, they are 54 minutes off of the OA podium- is there anyway this gap can be closed with 42.2K of racing to go? Laura was up for the mixed team. She had a goal of running 55 minutes, and finished with an outstanding time of 53-high. This leaves the mixed team a mere 15 minutes out of 4th place OA. Holger ran a very solid sub-42 10K. This was enough for 9th on the day for ultimates, and to hold his 8th place position OA. Vicki ran a strong 46 10K, holding her 4th place position OA. Andrew ran a very consistant 10K TT, finishing with a time of 45:01. Heather ran a solid EB of 1:06! Paul had an awesome race, cruising in with a solid time of 46 minutes- his exact predicted time! Time for the final battle! 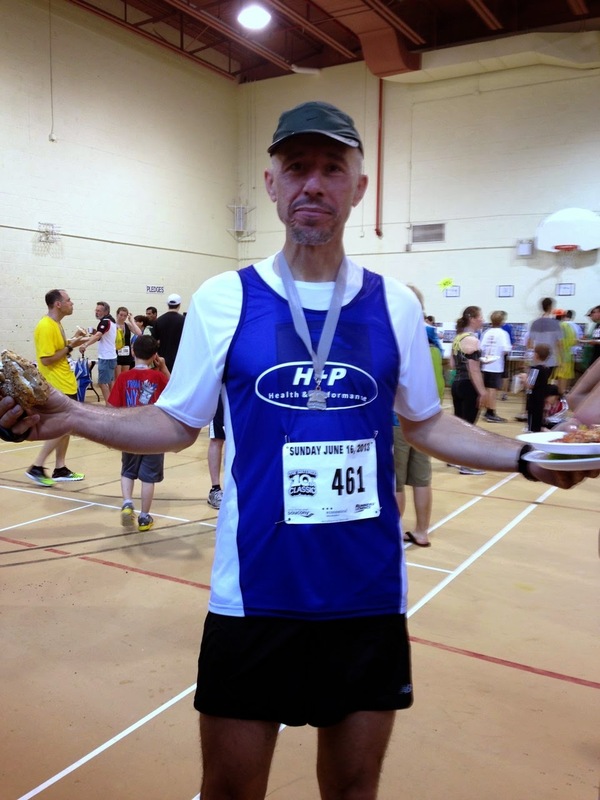 RunnerRob is up for the H+P A1 team. With Brendan's tough-luck muscle cramping in stage 3, breaking the 11-hour barrier is likely not in the cards as the team now sits with a cumulative time of 8:34. With a 21 minute gap between A1 and the 2nd place A2 team, Rob DOES have some wiggle room to run hard. Will he opt to run conservatively and maintain the 21 minute lead, or will be risk it all to run a quick time (possibly breaking the 11:04 course record?). For the men's A2 team, Graham Dunn is up. He is looking to PB the marathon, and hold the team's position in 2nd. 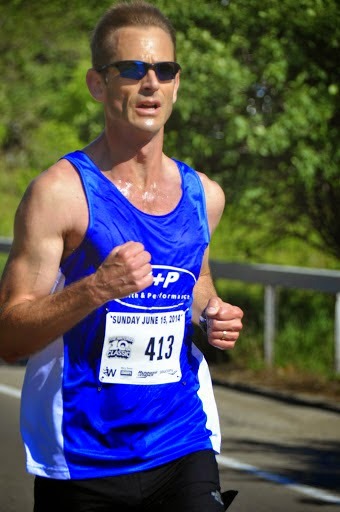 Graham has a 3hour-mid PB, but has been showing massive improvement in his running over the past few months, including becoming the new H+P TT masters record holder. Also, if RunnerRob attacks and blows up, will Graham be able to chase him down and close the 21 minute gap? For the women's team, Jessica is primed for a break-through run. She is coming off a solid marathon build, and is hoping to PB. With a 54 minute gap to 3rd place, she is also going to fight hard to close the gap and see how close to the podium they can get- what an impressive performance for an all-female team racing among teams filled with men! For the mixed team, Chris Phillips is up! He needs a MASSIVE high five from everybody. Chris is the reason why this team was possible. Nobody wanted to run the marathon on such short notice, but Chris literally said "sure" without hesitation, and without training at all (honestly). If you see him tomorrow, make sure to cheer him on and keep him rolling! Oh it's a bittersweet day for H+P! 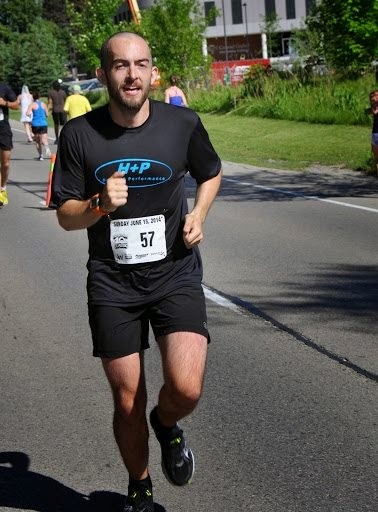 What an experience we had at the 2014 ENDURrun. We had some (and by some I mean numerous) break through performances that we will remember forever, and some epic blow ups that added to the drama and complexity that is involved with planning for and competing in a 8-day, 7-stage race. What a week! For the men's A1 Team, RunnerRob had one of those breakthrough performances in today's marathon. Running a strategic and conservative first half of just below 1:20 under the careful eye of coach Sean (it was tough to keep that boy from sprinting! 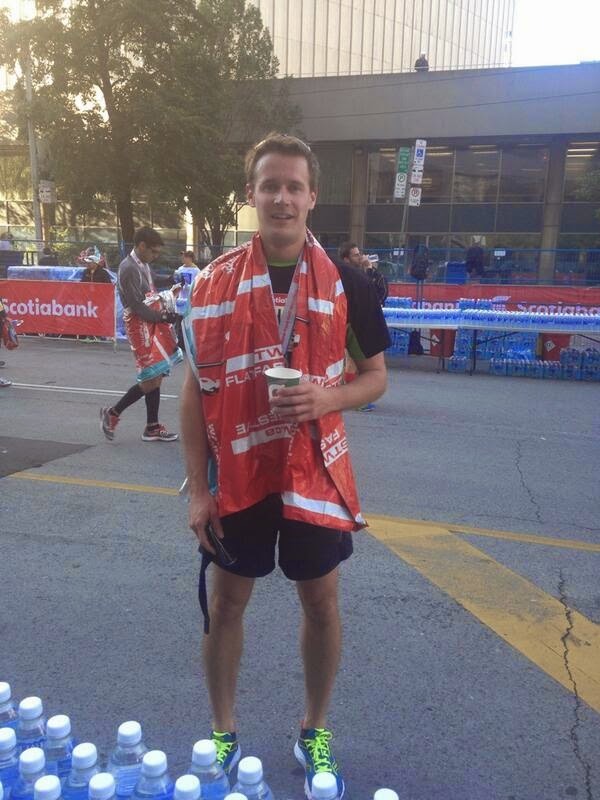 ), he was able to lay down a sub 1:22 second half and finish with a new marathon PB of 2:41. This brought the entire A1 team in with a total time of 11:16, the 4th fastest of all time. In the end, the team is happy to win by such a large margin (over 1 hour OA), to win all but one stage out of the relay runners (only the 30K had a non-A1 winner), and to win 2 stages out of all runners (10K, marathon). However, we still are hungry for that sub-11 as a team and the event record. A lot went right for the team, including numerous PBs, but the challenge of putting together a perfect set of 7 runners who peak on 7 separate days has eluded us. In other words, we WILL be back! The men's A2 team was represented by Graham Dunn today in the marathon. He managed a great time 3:32. The honest truth about Graham though is that he is in MUCH better shape than a 3:32. Coming through half with a 1:37, Graham was in perfect position to post a negative split and PB on the day. However, with about 15K to go the good-ol' hamstring cramping started to kick in. These cramps left him unable to walk at times, let alone continue to run. However, he fought through, jogged in between spasms, and salvaged the A2's 2nd place position. They finish with a very competitive cumulative time of 12:28. A number of A2 runners pushed the A1 runners to the limit (including Pat vs. Greg in the Alpine stage and Chris vs. Luke in the 10-miler). However, the only team member able to take down their A1 counterpart was 50 yearold Dave Rutherford on the 30K trail stage. Old man power for the win! For the mixed team, Chris was up. Chris' preparation for the marathon went as follows: don't run for a long time, do a 12 hour race 2 weeks before, do the H+P 2.2K TT, take a week off, jog 9K, race a marathon. Yeah, that's pretty much the definition of how not to train to run 42.2K. Despite this, Chris took one for the team and still pulled his way through the distance with a solid time, bringing the mixed team in with a total time of 15:35 and sitting safely in 5th position. Thanks Chris! There was a significant amount of drama in the women's race today! Vicki Z, sitting in 4th place prior to the marathon with an 18 minute gap between her and last year's champion, she seemed destined to stay in her current position OA. However, with a solid time of 3:39, Vicki knew that Catherine (in 3rd) was hurting and was still on the course. Catherine ended up crossing the line with a time of 3:59- a good time, but not to her normal ability, we hope she is ok- but it was exciting to see Vicki crack the podium by less than 2 minutes after 7 days of racing (total time was a PB for her of 14:06). Holger (aka the human metronome) had an outstanding performance yet again. His massive endurance base showed today as he ran a 3:17 marathon, maintaining his strong 8th place position overall. Andrew was able to hold his very strong 12th place position with outstanding 3:35 marathon. Congrats goes out to the Bearded One! Heather was able to come in with a very solid marathon, bringing her weekly total to 22:12- a new EB (by over 1 hour). Nothing like a 1 hour PB to boost the ego! Manny and Howie both had a lot of fun as they continued on with their rivalry. Howie took this one by 2 minutes as he ran 4:10, while Manny came in at 4:12. The score is now 1-1 since joining H+P (Manny took the win at the Waterloo Classic). That's it for now! Stay tuned for a few ENDURrun final posts that will include (1) all of the team's PBs (2) Some of our favourite pics from the event and finally (3) A series featuring the best mustaches sported by our men's teams. 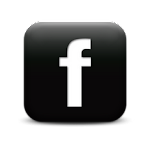 So far, you have met the H+P Men's A1 Team, Men's A2 Team and Women's Team. 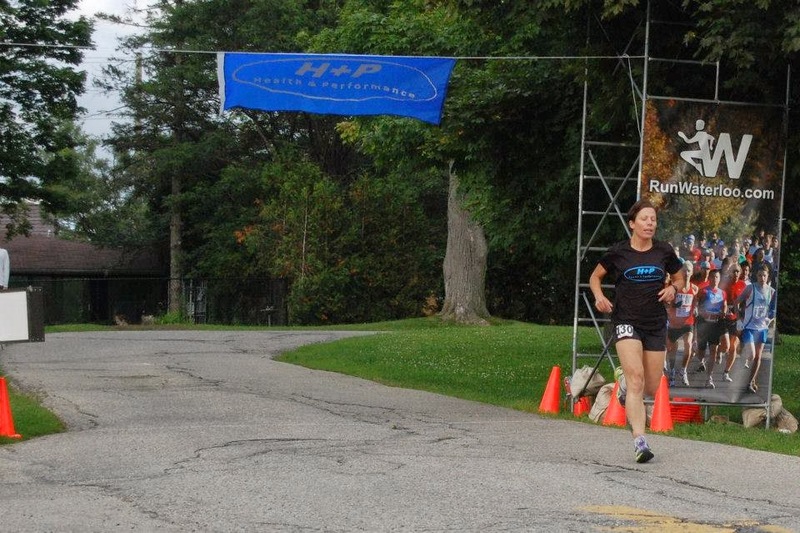 TODAY, we introduce to you our third and final ENDURrun team: The Mixed Team. Claim to fame: Is THE Mountain Man. Claim to fame: This is her first race as a Hewitson. 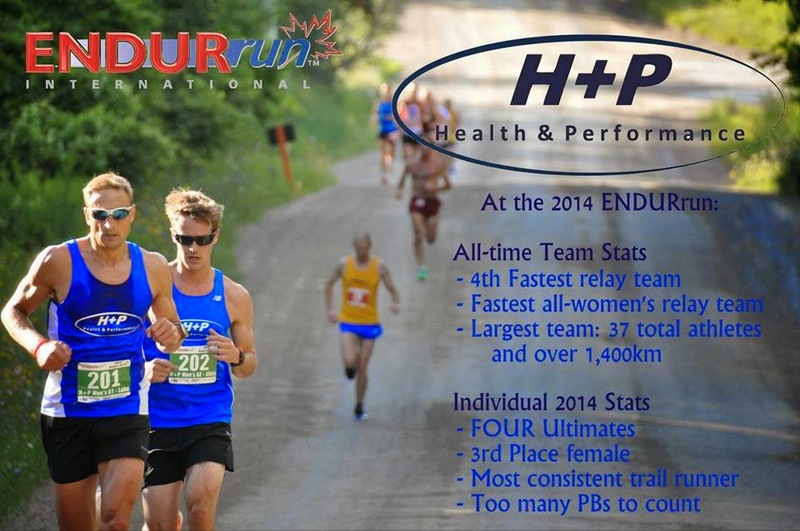 So for we have introduced our 2014 H+P Women's team and H+P Men's A1 team. TODAY- the H+P Men's A2 team. This team is filled with 7 talented runners who were VERY difficult to leave off of the Men's A1 team. In fact, on any given day, many of the runners on this team could take down many runners on the A1 team. These boys are fit, motivated, and hungry to take down their A1 counterparts. They may be SLIGHT underdogs, but not by much, and they aren't going to go down without a fight. On Aug 2nd, 2014, we hit the track for a 5000m TT. NO taper, NO notice. Some came in ready to hammer, others came in using the 5K as a tempo component to their long run. This was meant to be, first and foremost, a solid workout. As an added bonus, we hit some PRs and SBs along the way!